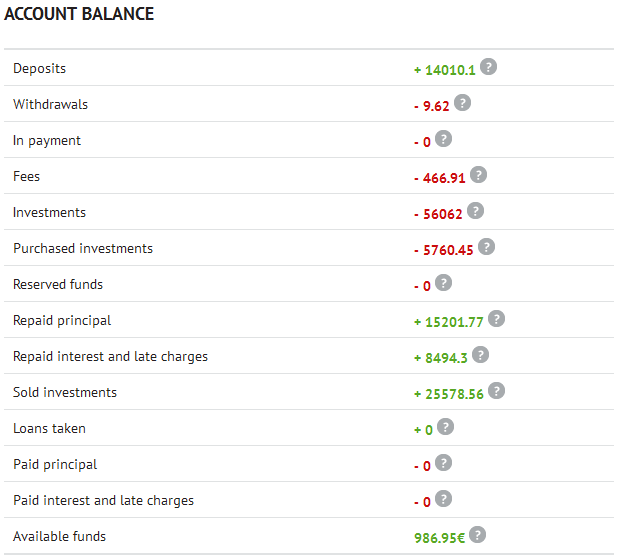 The last few weeks were the first time I was struggeling to find enough Estonian loans matching my criteria (see previous post) to manually invest into. 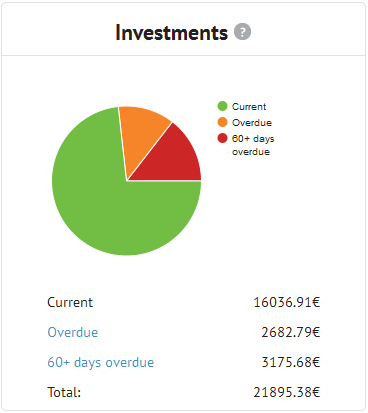 I decided about two weeks ago to activate the portfolio manager, but only for AA and A loans making 50 Euro bids each. But so far this resulted only in 4 new loans for me. So my cash in the account is slowly accumulating instead of being reinvested. There are again major changes on how the Bondora marketplace operates. Two weeks ago Bondora announced changes in the collection process. This means that if I want to continue my current loan selection criteria after the changes are enacted, I will have to use the new API. Hi wiseclerk. Interesting state…question, how much every month cash flow forecast? Thank. Outstanding principal (22k) times curent Xirr 0.26 brings yearly interest. Monthly its about 500 euros of projected income. Nice interesting cashflow. Thank you for answer.